New Rifle Paper Co. product has arrived just in time for Spring! All-occasion greeting cards to celebrate birthdays, milestones, friendships, holidays and more. It may not look like Spring outside, but it certainly does in the shop! Patterened sheet wrap for wedding, birthday and baby celebrate the colours of the season. 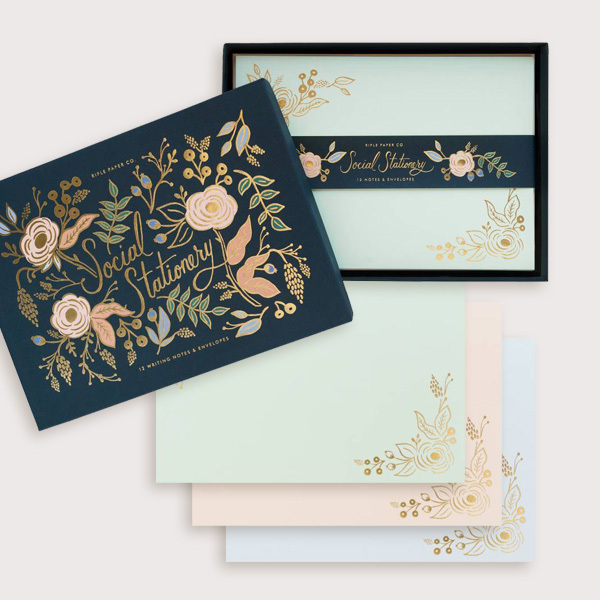 Gorgeous new social stationery sets for sending personal correspondence. Classic floral beauty that Rifle has become known for and some whimsy puppies, too. Come in today to find your new favourite stationery brand.